This place was amazing. The views are phenomenal! You can see both sides of the island from this hotel as it sits atop a hill. There was a ferry across the street to take into town for shopping if you want to take a short cut and enjoy the ocean breeze. Rooms were very comfortable. My company booked the rooms for a business excursion during the week in the conference room below. Staff was excellent in all forms. 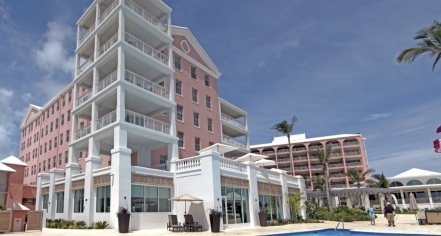 Stayed here Apr 9 - 14, 2019 fulfilling a 30 year dream to visit Bermuda. 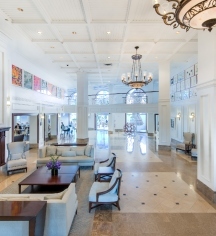 Everything about this hotel is first class including room, available amenities, food in the Crown and Anchor but most importantly the staff is superb. We were so well looked after by Mathew, Concierge as he patiently listened and answered our many many different inquiries. As well we received absolutely excellent service over several days from Constancio in the Crown and Anchor. Santana also provided great service in the C and A. My wife and I just needed a warm place to decompress, relax, and recover from a New England winter. Got in some golf at great nearby courses and tennis on excellent clay courts also close. Goof food, close to excellent restaurants. Thank You for taking the time to write a review about our property, your feedback is so important to us. We are so pleased to hear that you enjoyed your stay with us. We hope you will choose us again in the future, it was a pleasure having you with us.